Lucky Duck is a word play card game that requires the players to collect cards that spell out the name of the game. The play stimulates critical thinking skills and provides an enjoyable social experience for young children as an alternative to the computer and electronic game. You will find that this simple card game is well worth the cost of ownership. 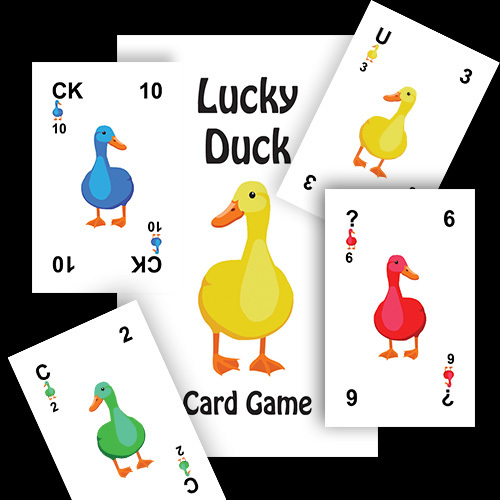 Lucky Duck Card Game was designed by Ara John Movsesian, Architect, Author and Inventor who first came up with the rules in 1986. Recently, thanks to the development of Print on Demand (POD) technology, he has finally brought the game to the marketplace for all to enjoy.